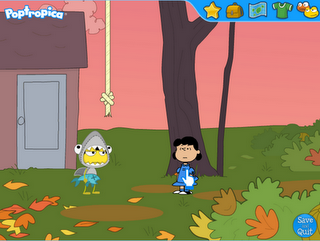 Lucy has arrived in Poptropica! To yell at her brother! 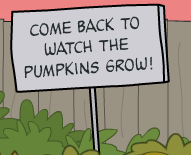 Lucy: Linus is going to freeze out here, waiting for the Great Pumpkin. You: You’re right. It could be dangerous out here at night. Lucy: It’s not him I’m concerened about. 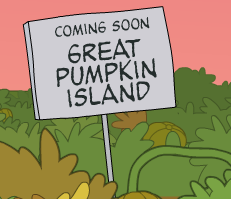 Lucy: I’ll be known as the sister of the blockhead who caught cold on Halloween night, waiting for a flying pumpkin!